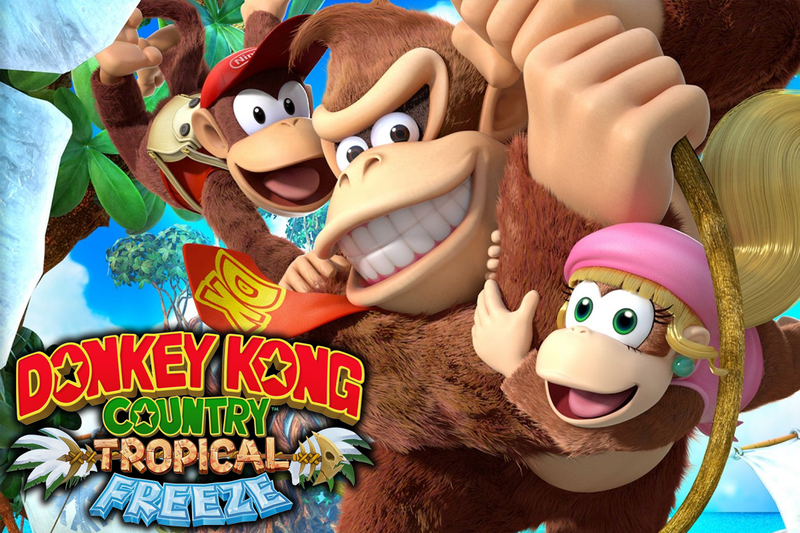 Despite its status as a notorious failure, the Wii U did have a few hidden gems when it came to first party game releases, and 2014’s Donkey Kong Country: Tropical Freeze was one of the best and most underrated. Thankfully, like many games from that generation, it's been granted a second chance at life on the Nintendo Switch - a console that people… you know, actually bought. But after 4 years, will the return of Donkey Kong be as sweet as a ripe banana, or will playing it feel like a barrel to the head? As expected, the game plays just as well on the Switch as it did on the Wii U; Nintendo perfected the ‘faux 3D’ 2D side-scroller over 20 years ago on the SNES, and that formula is still just as enjoyable in the post-apocalyptic wasteland of 2018. Every background pops with gorgeous textures and animations, every enemy feels original and every victory feels hard earned (more on that later). But what if you’re one of the half a dozen gamers that have already played the game on the Wii U? Well, the Switch version is still worth a gander as it includes the brand new ‘Funky Mode’, in which you play as Funky Kong, Donkey’s cool, wrap-around sunglasses wearing uncle. When controlling Funky, you enjoy additional hearts, refreshed items and the option to skip levels, making for a far more accessible experience, particularly for younger players. And it’s a good job Nintendo decided to include this new, more casual mode as the base game might have you throwing a temper tantrum in public. At times, it’s positively punishing, with controls feeling a little sloppy on occasion, meaning some aspects of the game require trial and error rather than a satisfying, deliberate learning curve. Certainly not enough to make this a bad game, but enough to be intermittently infuriating. Donkey Kong Country: Tropical Freeze on the Nintendo Switch is just as beautiful and as fun as the original with additional accessibility making it more Mario than Dark Souls. With that being said, still expect the occasional urge to throw your joy cons at the nearest wall. CeX Chennai VR is NOW OPEN!